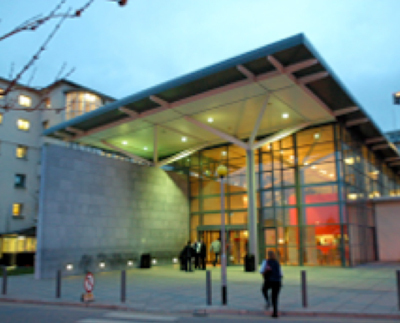 University Hospital Galway - Adult leukaemia service. Haematology Clinics are held on Monday and Tuesday afternoon in the Out-patients Department from 14.00 – 17.00. Coagulation clinics are held on Friday mornings in the Out-patients Department from 9.00 – 13.00. 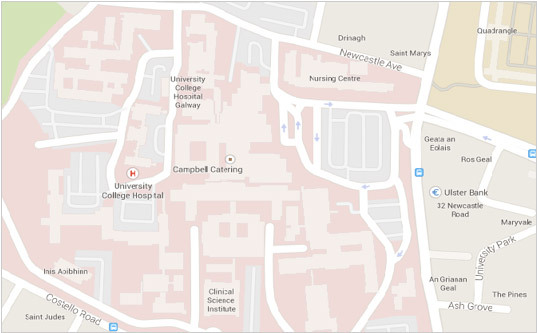 University Hospital Galway is located on Newcastle Road, Galway. Different consultant clinics take place in the Outpatient’s Department every day so it is not possible to visit before your clinic appointment. We have a Daffodil Centre on site in the hospital. Here, you can speak to a trained member of staff or drop in to collect leaflets or other information. Also, if you have any questions or concerns you can contact the Haematology liaison nurses whose telephone contact number can be obtained on your appointment letter. On your first visit you will have a consultation with one of the haematology team, which consists of a Senior House Officer (SHO), a Registrar or a Consultant. Following this consultation you may undergo a review by the Clinical Nurse Specialist or you may be seen by the Haematology Liaison Nurse. Our junior staff change all the time as occurs in all teaching hospitals but you will usually stay under the same consultant ensuring continuity of care. You are attending a haematology clinic and so we need your blood results before we see you. We require that bloods tests are carried out 3 hours prior to your appointment time so that your results are available when you are seen in the clinic. You don’t need to stay in the hospital while waiting for your blood results, but you do need to come to clinic at your scheduled appointment time. This process takes 3-5 hours in total.